For those who want to keep their plants more contained, they can opt for an under-counter appliance that will grow, light, and water the plants for them. Manufacturers of one such product--the Urban Cultivator—say they’ve been selling the most units in coastal markets and high-end communities. It’s not just the kitchen that is seeing more plants. 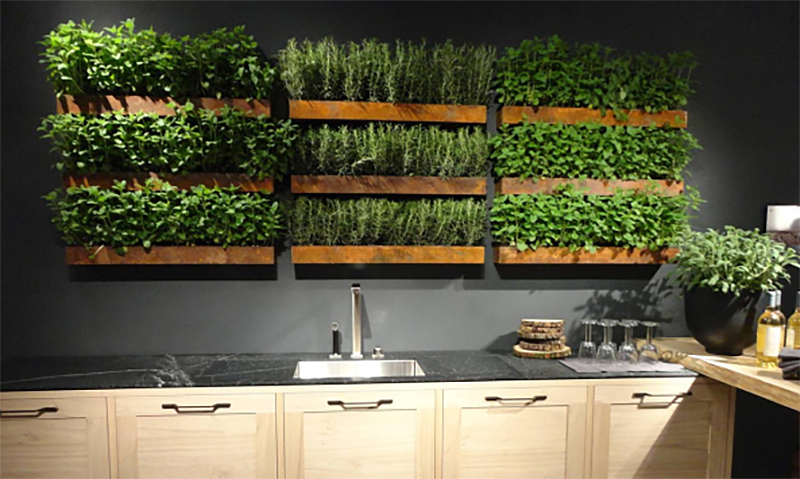 Plants are entering more master bathrooms to evoke an indoor-outdoor spa and appearing in more living spaces. Technology is helping in keeping plants alive less of a chore, too. Self‑watering containers are making plants easier to care for, and grow lights are helping them to thrive in even the darkest corners of a home. Considering Buying, Selling or Investing? Take advantage of my 30‑plus years experience in brokering and investing in homes of all types. Phone today to arrange a confidential, no-obligation plan and strategy to accomplish your real estate goals. 215-801-7661. † Source: Bright MLS settled sales, 2018. Information, while deemed reliable, is not guaranteed.